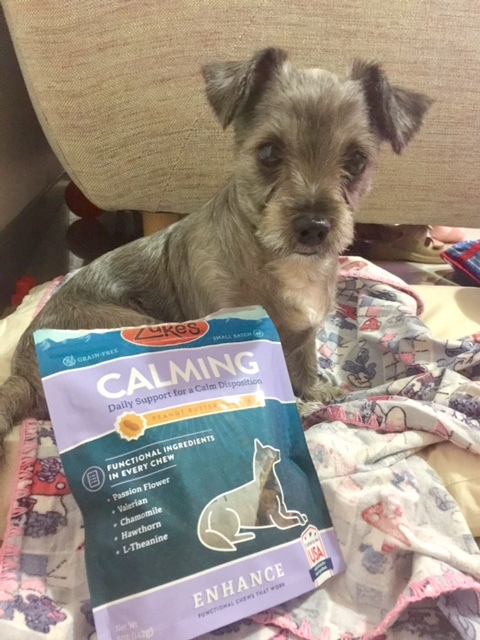 Hello all pawrents... in today's post I want to share with you some dog (and cat) food and treats which Lola recently tried and loved. As usual, we got our pet stuff from Kohepets online, because it's convenient and they have such a wide range of products. Plus free delivery to my doorstep. 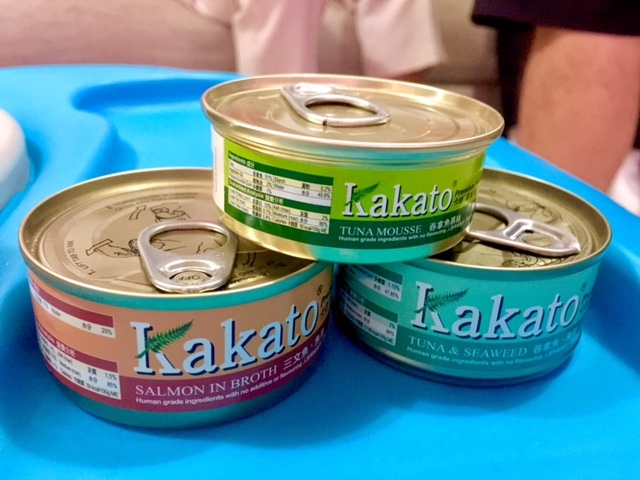 Derived from the New Zealand Maori word for ‘delicious’, Katako is a premium pet food that uses the finest in human grade ingredients with no additives or flavourings added. Just pure delicious meaty goodness. The flavours I ordered for Lola to try are Salmon In Broth ($2) , Tuna & Seaweed Canned Cat & Dog Food ($2) and Tuna Mousse ($1.40). All made of human grade ingredients, 100% Sea water fish, rich in Omega-3 oils and gluten free. These are tasty and wholesome. Suitable for larger dogs too as these trays are quite large, at 6oz each. 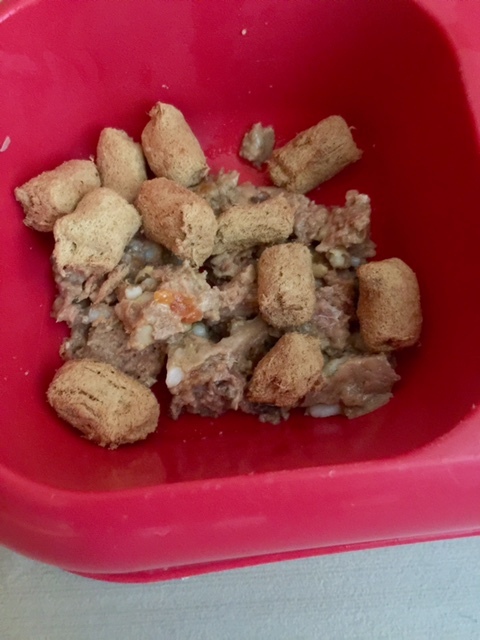 A new thing I've been doing for Lola is adding Meal Mixers to her food. It gives her more variety, you know, make her meal time more exciting and even tastier, plus it adds a good amount of additional nutrients too. 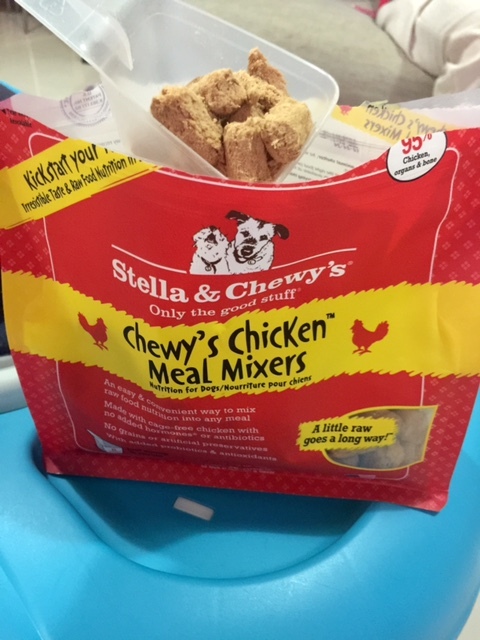 I started out with Stella & Chewy's Chicken Meal Mixers Freeze-Dried Dog Food ($14.90). It is made of raw cage-free chicken (95%), fortified with added vitamins & minerals and enhanced with probiotics & antioxidants. I love that raw freeze dried food such as this is very minimally processed. Because the closer foods stay to their natural state, the better they are. I just add a scoop to her wet food, or kibbles... and she will chow down happily. I'm getting more and more particular about giving her food made of quality ingredients nowadays especially because she's in her senior years. I want her as healthy as she can be. For treats, Zuke's has a huge range of Enhance Functional Dog Treats. This is a new range of functional treats for things such as shiny coat, mobility, fresh breath and digestion. 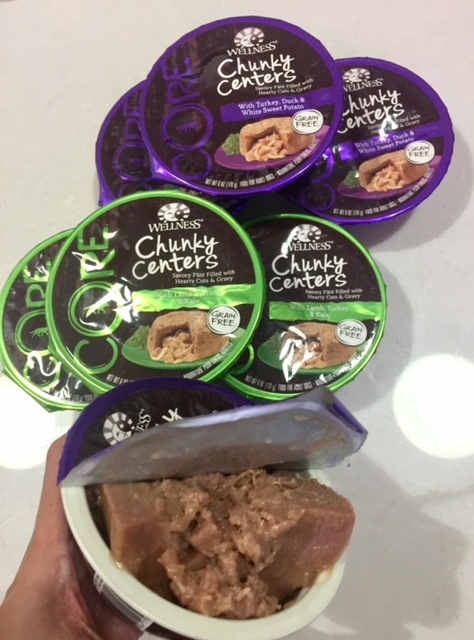 We just tried Zuke's Enhance Functional Calming Peanut Butter Dog Treats (5oz $14.90). It gives her daily support for a calm disposition with nature-inspired functional ingredients. It's a healthy, tasty, tender, grain free chew treat. If you spot any new and interesting products at Kohepets online and would like me to try it out and let you know how it goes, do let me know! Lola is always keen to try new things. 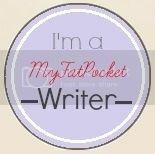 Do check out their on going promotions (always have!) for some great deals, perfect time to stock up on pet supplies!